Our professional services include same day rubbish removals, seven days a week, in and around London for private and commercial customers. We dispose of domestic and commercial waste in the most environmentally friendly manner. We offer demolition services, residential and commercial strip outs. Our prices are based on volume and weight and we provide free no obligation quotes. 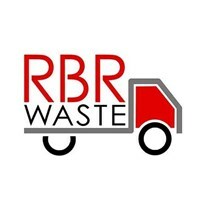 RBR waste services is cheaper than skips and no permits are required. We are registered GOV.UK Environment Agency Licensed and Approved Waste Carriers.